In the late 60s Ralph Lauren was launched, with nothing more than a collection of men's ties to offer the fashion world. Today, the label has grown to become a lifestyle label for men and women, with extensive clothing collections, accessories, shoes and bags. 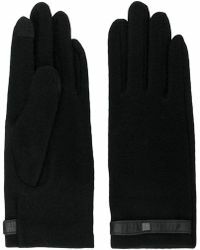 Lauren by Ralph is one of Ralph Lauren's diffusion labels and is well-suited to modern women who follow seasonal trends. The line is elegant and polished with a respect for the heritage of the brand and an awareness of current styles. 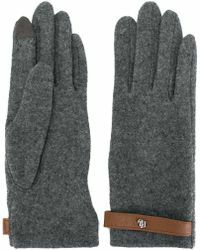 This collection of women's Lauren by Ralph Lauren gloves offers high-quality winter-worthy designs to suit every budget. 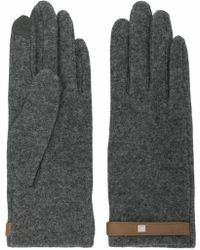 Choose from cool black wool designs, vintage-inspired leather gloves and more.